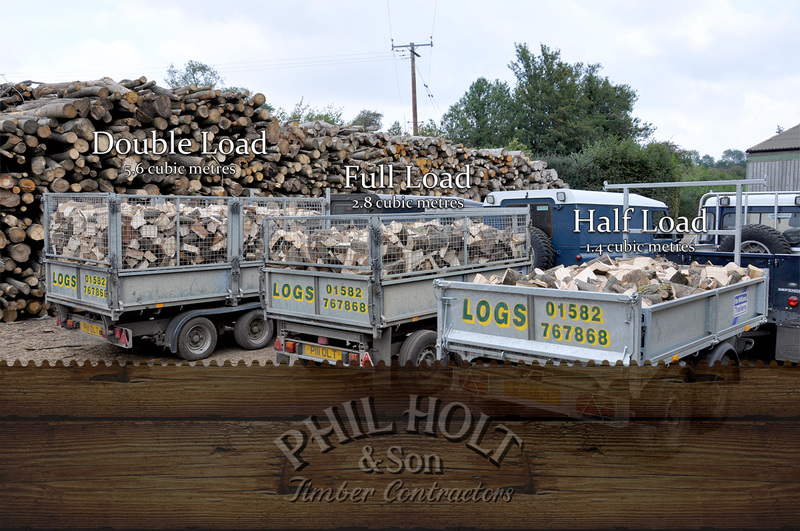 Our hardwood logs are a sustainable fuel source that comes from local managed woodlands. Our deliveries of logs will be made up from a mixture of hardwoods that burn slow and burn hot. 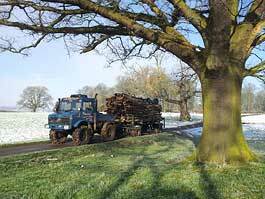 When called-in to a woodland to fell trees we look to take-out trees that are endangering their neighbours so the wood we selectively harvest can never be guaranteed to be one particular type of wood, however, the wood we transport to our Hertfordshire yards will only ever be hardwood. If there was a preferred wood that we'd choose for log burning it would probably be ash; it's not the Rolls Royce of woods but a BMW - at least 50% of our stock is ash. 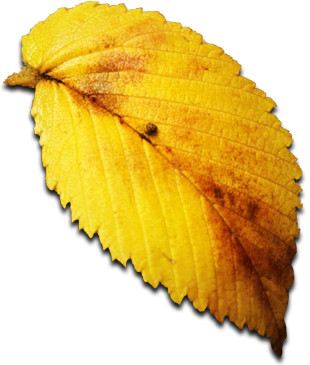 It's estimated that there's only 20 native species of tree growing in the UK, most of those are hardwoods. Buying logs from local sustainable sources is far greener than buying from garage forecourts or DIY stores. Our hardwood logs haven't been shipped in from overseas, our logs are locally sourced from within a 30 mile radius of Harpenden and we deliver logs to homes across Hertfordshire, Bedfordshire and Buckinghamshire. If, however, we were to wholesale our hardwood logs instead of selling direct to the homeowner our quality hardwood logs would command a premium just because of the weight of ash we are able to ensure. Ash logs are clean, they burn hot and sharp. If you were in a country such as Russia, all you'd find growing there are softwood trees; that's all they have so that's all they burn and it's all they export too. If you buy your logs from the garage forecourt or the DIY sheds then you'll be buying imported softwood. It's price related. Softwoods are felled today, bagged and shipped tomorrow and on the petrol station forecourt the very next week. This fast turnaround and intensive manufacture is the total opposite of what we do. 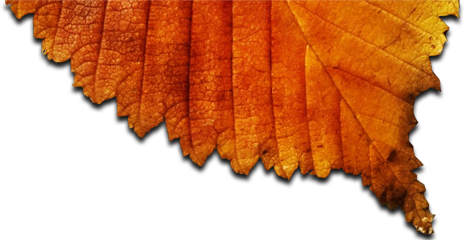 How can you tell when a log is not hardwood? Firstly, you can usually see it; secondly the wood will usually have a high moisture content making it unable to burn. Why would people pay £8 per bag for that? Part of our commitment to our customers is to educate them on our products and how economically viable logs are to burn. We know precisely where our wood comes from as we fell the trees before harvesting the logs, by doing this, we are maintaining the quality of our surrounding British woodland for many generations to come. It's a sustainable business cycle that we have been involved in for over 30 years.